Is there anything as classic as the Mid-Century Modern ethos? From architecture to graphic design, there’s a sleek, organic elegance to it, with classically simple lines which avoid the period styling, superfluous components, and useless ornamentation often found in other trends. It flows logically, and centers on astute use of individual elements. Best of all, Mid-Century is an inseparable component of my beloved Southern California. Perhaps that’s why I feel such an affinity for it. Oh, it may have incubated at the Staatliches Bauhaus, but SoCal is where the connection between Modern design and Mother Nature bloomed. You’ll find examples of Mid-Century design all over SoCal, from homes to restaurants to signage to furniture and even urban planning. Modernism is also about the intangibles: casual lifestyle, the quality of light and shadow, and the easygoing nature of people in the West. Modernism is the perfect style for Southern California living because it is compatible with our way of life. Its horizontality and openness promote harmony between shelter and nature, while its aesthetic offers an environment that is at once relaxed and sophisticated. It is a style and it is a lifestyle. And like Southern California, modern is relaxed, it is dramatic, and it is beautiful. 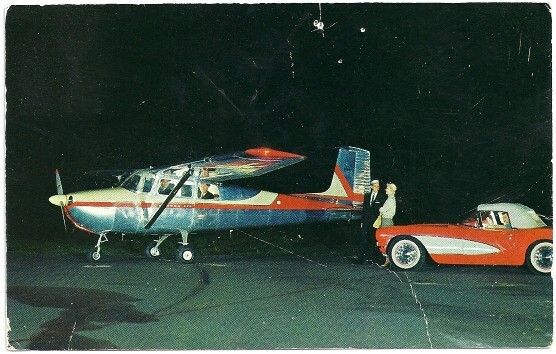 The mid-century era was a seminal time for general aviation as well. By the end of World War II, the Army Air Forces Training Command had graduated 250,000 pilots from its schools. With war in the rear-view mirror, these highly experienced and well-trained military pilots were back in the civilian sector with the world at their feet. For those who were not yet aviators, scores of surplus aircraft were left over from the war and the G.I. Bill provided funding for flight training. The future looked bright, indeed. Unfortunately, it was at this moment that Something Bad happened when Cessna’s marketing department got the brilliant idea to equate flying with driving. Airscape’s David Foxx sent this to me after reading my Year of the Tailwheel post, calling the advertisement “about as heretical as anything a hands-and-feet aviator could ever read. You may want to wash your eyes after!”. Amen, brother. It’s bad enough that they took a beautiful airplane and put a nosewheel on it; to this day, a Skyhawk still looks to me like a tailwheel C-170 that’s been converted. It may not be in the league of that “flying milk stool”, the Piper Tri-Pacer, but it’s more than enough to make me pine for the days when happiness was a point-and-go airplane and a lung-full of wholesome, unfiltered cigarette smoke. 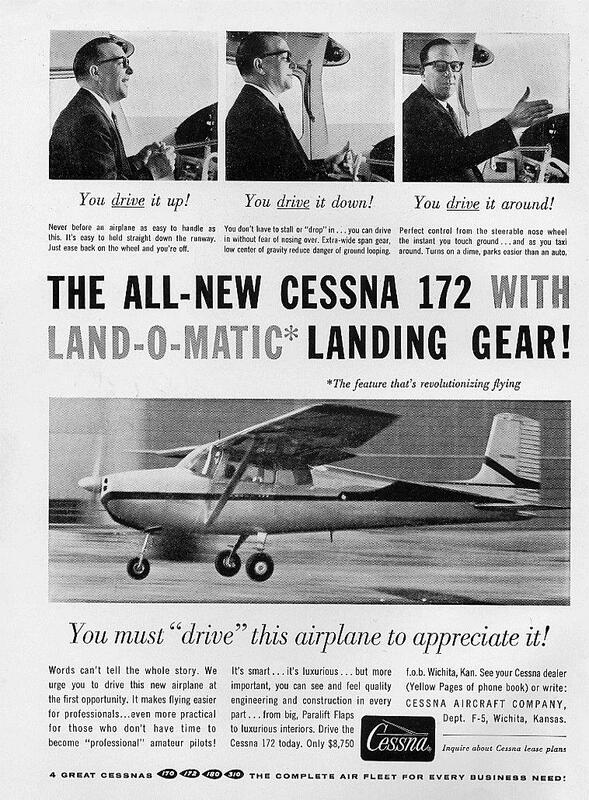 This mid-50’s advertisement wasn’t a one-time effort; Cessna continued using the “land-o-matic” schtick well into the 1970s. You can find ads for the Cardinal — which ironically was designed as a replacement for the 172 — peddling the same dreck. There are all sorts of annoying things about the ad. First of all, it claims the 172 will “turn on a dime”. False. The tailwheel can pull that trick, but not the nosewheel. As anyone who’s flown them will attest, a Skyhawk requires three times the turning radius of its predecessor. Then there’s the $8,700 price tag ($72,125 in 2013 dollars) for a factory-new airplane. And last but not least, the “drive it like a car” pronouncement. I’ve seen more than one person try to fly the way that ad says it can be done, only to end up with a bent firewall, broken nosewheel, and mangled propeller. It is funny to look at though, isn’t it? I suppose in the heyday, anything seemed possible–at least, in advertising. Compared to landing the 170 and 180, the Skyhawk can feel like a cakewalk if the winds are calm. But that’s part of the problem: it’s not. But it convinces pilots they needn’t apply the same care, attention, or skill to their flying that they otherwise would have applied were the plane equipped with “conventional” landing gear. Proper control inputs during taxi? Gone. Slow taxi speeds? See ya! Precise energy and flightpath management? Sayonara. Solving a crosswind? Don’t even get me started. Land-o-matic? Hardly. Just because you can get away with “driving” it on doesn’t mean you should. The technique for landing nose and tail wheel airplanes are basically the same! Even worse, instructors easily fall into the same trap, allowing students in Land-O-Matics to get away with performance they never would have accepted if the third wheel was where God intended. This only reinforces the lesson in the minds of many a pilot, spreading the “new normal” until we arrive in the 21st century, where tailwheel aircraft are often eyed with a wary suspicion by those who don’t understand them or the many benefits they offer. Some unintended consequences flow from those “so easy a caveman could do it” ads. Somewhere along the way, conventional wisdom seems to have begun opining that tailwheel aircraft require some magical, specialized landing technique. Nothing could be further from the truth. My experience has been that if a person knows how to land a nosewheel airplane properly and does so on a consistent basis, the move into a tailwheel will be quick and smooth. If not… well, let’s just say the majority of my time with transitioning pilots is spent building the rudimentary skills they never learned as a primary student. The only significant difference between the two is this: the conventional landing gear absolutely requires proper technique, whereas the nosegear may not. Having said that, questionable flying skill can lead to problems no matter what kind of landing gear you’ve got. Flying is not driving. Never has been, never will be. So remember, just because you can get away with low-quality takeoff and landing skills doesn’t mean you should. Woah, Before I even begin, I have to say I clicked on one of your links and saw on the home page a house for sale I was looking to purchase, one I actually went to an open house to, TODAY! Scary. That and your top ten list of restaurants is ruining my diet just looking at them. . I wonder what a 1952 Doctor would say about some of those restaurant dishes vs a MD of ’14. Anyway, I can feel some of your tail-wheel-passion-post of earlier this month still had some remnants. Its sad that Cessna had to equate the skill of flying to driving. Maybe it was to sell planes to those who feared it would be too difficult or unsafe to do (of course). I think its important to keep legacy aircraft around and flyable… You really can say they dont make them like they used to. I feel that when I’m flying the Super-Decathlon, my mentality is completely different nature then when I take out the SR20. Yeah, I love the pervasive mid-century architecture out in Palm Springs. They’ve done a good job preserving the look and feel of it even as the area has grown over the years. It does feel like you’ve landed in a far away place when you alight in the desert. What always gets me is how green it is out there with all the golf courses! A sea of perfect fairways amidst an eternity of brown dirt. Re: the house, maybe it’s a sign that you’re destined to purchase that place?? I started flying when I was fourteen (14), I am now eighty (80) and still fly with a safety pilot or instructor. At one time or another I have flown all of the aircraft mentioned in the article and ever thought about buying a 177RG. On the day of the demo flight, I was flying, the owner was in the right seat and a good friend and CFI was in the rear. Air work was normal but as we attempted to land, the left main would not come down. We flew around a few minutes cycling the gear but it still stayed up and locked. My CFI friend suggested I land hard on the right main and try to shake it down. I did and it worked, we got three in the green and I continued the landing. It only took me a few minutes to tell the owner I would not be buying is Cessna. Great post, as always. As an former CFI that did more than my fair share of transition students in a stock Luscombe with heel brakes only on the left side, technique is something sought after and REQUIRED! I love the caveman quote too! Hey, once a CFI, always a CFI, I say. You’re just “out of currency” at the moment. I had a mini-nightmare flashback at your mention of heel brakes. It took a solid year pretzeled into the front seat of a J3 before I grudgingly accept fact that they may not have been intentionally designed by someone who enjoyed seeing pilots suffer. I see that Mr. Wolfgang Langewiesche escaped scrutiny, even though he was a big fan of the rudderless airplane, which one must slam on the ground in crab (there’s no other way). Just kidding. The difference between Langewiesche and Cessna is that that the former’s viewpoint was an honest one based upon his experience, whereas the latter was a deceptive marketing scheme designed to sell airplanes by intimating that one needn’t develop much skill in order to fly safely now that this new-fangled landing gear had arrived. Of course, there are aircraft which must be landed in a crab, like the B-52, the Ercoupe, airliners with underwing-mounted engines, etc. But they were specifically designed for that technique and don’t use it as a crutch. In fact, those aircraft require plenty of skill and I wouldn’t describe piloting any of them as “driving”. Then it was on to rudder skills. “The rudder is there for a purpose, and that is not to just turn left or right. It is for COORDINATED flight, (notice I said flight. )” These two actually got my attention when they asked if I wanted to replace the engine and prop on the plane I was flying, by just trying to “drive” onto the runway. They were both good people, and good pilots. You offer an interesting (and entertaining) perspective, Richard! My post was about pilot skill and how, regardless of the era, flying cannot be fairly equated with driving. How you went from that message to talking about the way the South “still dreams of the great days of slavery”… well, that’s quite a leap. As for California, it certainly has it’s problems. I’ve lived here most of my life and am well aware of them. But your ignorance about the state is pretty breathtaking. Since you have an aversion to the past, I will avoid talking about the film industry, the space program, the personal computer, the internet, or any of the other things that were developed here. Instead, let’s look at the present. California has a GDP of more than $2 trillion, and has a larger economy than not only every other state, but every other nation on earth except China, Japan, Germany, France, Brazil, the UK, and of course the U.S. itself. It’s home to more people, more jobs, more economic activity, more small businesses, more natural resources (and better conservation of them), more than any other state — by a long shot. I bet more of what you eat comes from California than any other place. Almost 12% of the country’s total agricultural output comes from this state. Did I mention we have the most colleges and universities? Over 400. California is number one in start-ups, patents issued, and the Milken Institute ranks the University of California System first in technology transfer and commercialization among all U.S. universities. I could go on, but you get the point. Which state did you say you were from again? It depends on the situation. Every design has its pros and cons, whether it’s tricycle, tailwheel, retractable, floats, skis, amphibs, or anything else. Obviously tricycle gear is the proper choice for most jets (although some, like the U-2, do have a tailwheel). It’s the better choice for many types of aircraft. The tricycle gear provides better forward visibility and because the CG is forward of the main landing gear, it’s more directionally stable. On the other hand, if you’re using rough, grass, gravel, or unimproved strips, the tailwheel is superior. It’s also a better choice when low cost, low complexity, low weight, and/or low drag are a priority. That’s why you’ll find them on aerobatic airplanes. Tailwheels are also useful if you need to put a big prop on the airframe, or simply want to keep the prop away from the ground. Tailwheels offer superior ground handling (no tow bar), tighter turning radius, better takeoff and landing distances, and many other advantages. But that’s not what my article was about. As it regards safety, my point was this: regardless of what a pilot is flying, an aviator of typical tailwheel proficiency wlll tend to perform better than one of typical nosewheel proficiency, even if they are both flying a nosewheel aircraft. It’s a training thing. It’s about being a better pilot even if you predominantly fly nosewheel aircraft. The annual Joseph Nall Report on GA aviation safety says it best: takeoffs and landings are where most accidents happen, with “loss of directional control” listed as the most common problem. What about that price?! Can anyone guestimate what $8750 is in 2014 dollars? Somehow I doubt $300-500K of today’s new cessna’s. One online inflation calculator estimates $72K. Anyone from the late 1950’s venture a more realistic number? My Wife and I love mid-century modern design and architecture. We go to the Modernism show in Palm Springs every year and appreciate the links. I have to agree about the Cessna ad. But then back in the fifties they envisioned an airplane in every garage, so they had to make it seem how easy it is (not) to fly a plane. Nice article. Enjoyed reading it, and the comment regarding the Ercoupe. I flew a 1947 Ercoupe for 11 years and 1,500 hours out of SoCal, landed in 20 to 30 knot direct cross winds with it (no rudder pedals), and flew to OSH & Arlington and a good part of the West & Southwest. I loved flying it; even flew it in formation with some very patient RV’s into the Copper State Fly-in; the controller could not figure out how an Ercoupe got mixed in with a flight of RV’s. About 5 years ago I made the move to an RV-6A, and formation flying which requires lots of rudder. I’m a second generation native Californian, with my plane based at CNO. Love the state, and South Orange County in particular. Could do without some of the state politics, but that would probably be true anywhere. Hope to fly with you some time. Hello Dan! The “RV-0.5”, I think you used to call it. I remember it well. Loved the story about the confused controller wondering how you ended up in an RV flight. Yes, I hope we have the opportunity to fly together! Makes me pine for the days of two wings, I see an airplane with one wing it looks like half an airplane. What is with replacing the tailskid with a wheel and making planes out of metal instead of wood and rag. 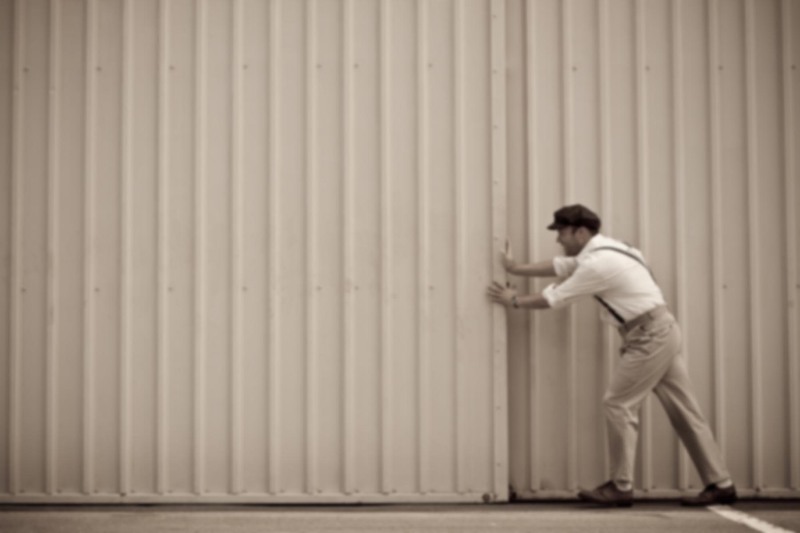 What happen to the days of men of steel and planes of fabric. Now it is metal planes and splinter-brains… Wait planes are now plastic with geeks behind computer screens with synthetic vision and looking though the night with thermal imagers, not to mention a parachute if everything goes to poo-poo. What next, no pilot? ha xbox 360 is what all the young kids are doing. So ya in another 10 years it will be strictly a joystick and computer screen. If I had my druthers, I would still be flying a Super Cub. Most fun I ever had in an airplane that didn’t break the sound barrier. You nailed it man. So many folks have big dreams of being pilots and don’t understand the work that goes into building technique, knowing regulations, and safely executing an airborne mission whatever it may be. I’m also digging the mid-century modern ethos – I guess you could say it reflects the “good ol’ days” of flying. Nice work!